Did you know that 86% of the world's population - 5.6 billion - own a watch made out of unsustainable plastics and metals? 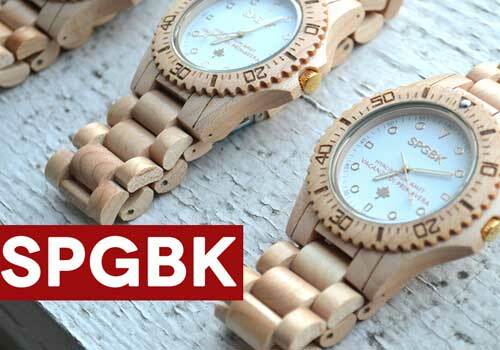 Well, SPGBK Wood Watches are trying to change that. Their wooden watch designs 'combine high-fashion designs & sustainable wood to provide you with the most stylish watches around'. Their watches prove to be eco-friendly and are infused with colour, they are uniquely designed and are at a moderate price. The US-based company was founded after two fraternity brothers discovered their mutual love of fashion to make them stand out from the crowd, including watches. They say: "after years of professional training between the both of us, which includes a couple of graduate degrees, combat tours in Iraq & Afghanistan, and corporate experience, we felt prepared enough to revisit our obsession with watches and to launch the product of our dreams." After finding that the other wooden watches on the market were 'extremely over-priced', the duo were inspired to create their own new watch. They came up with this environmentally friendly maple watch. Now, not only are these watches eco-friendly, but SpringBreak Watches pledges to donate a portion of their sales from each watch sold, which will provide up to ten meals to a child in need: "by donating healthy meals together, we can provide children in poverty with proper nutrition that will help them be healthy, be more productive in school, and be exposed to similar opportunities that we had access to during our childhood." 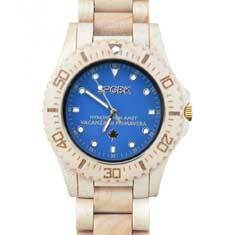 SpringBreak Watches has also partnered with the Family 59 Foundation, to help battle poverty and homelessness in the US. A friend of the fraternity brothers, Aaron Curry, founded the foundation. 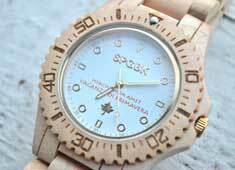 SpringBreak Wood Watches pledges to donate $2 dollars to the North Carolina Association of Feeding America Food Banks for every wood watch sold, for the duration of their existence.